Still spring water drawn from the Ochil Hills, Perthshire, from land certified organic by the Soil Association. Feel full of the Joys with refreshing spring water that's as pure as can be. 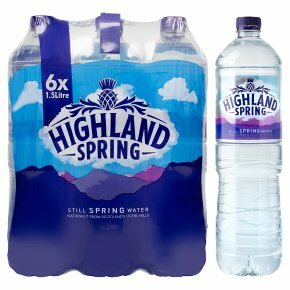 Naturally from Scotland's Ochil Hills.From the majestic landscape of Scotland's Ochil Hills, every drop of Highland Spring is lovingly drown from organic land. Feel refreshed with water as pure as nature intended.